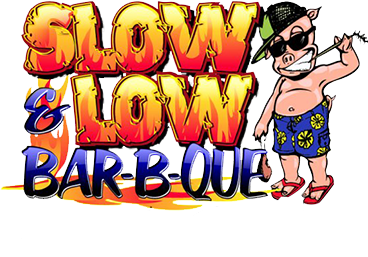 Slow & Low's Food Truck is a great choice to cater your next event. We cater for groups of 10 to 5,000 specializing in company events, birthdays parties, barbeques or any reason you can think of. Let us know and we come to you. 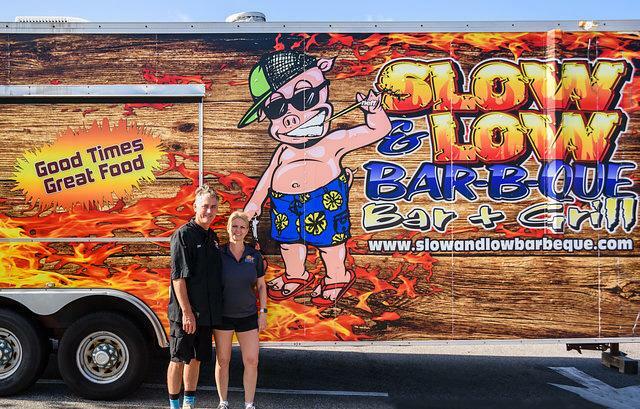 Slow & Low is known for our slow smoked hand pulled pork and our fall off the bone ribs and you’ll get the same great quality at your next event when you book the Slow & Low Food Truck. The Slow & Low Food Truck will come to your location and serve you and your guests, clean up our mess without you having to do a thing. 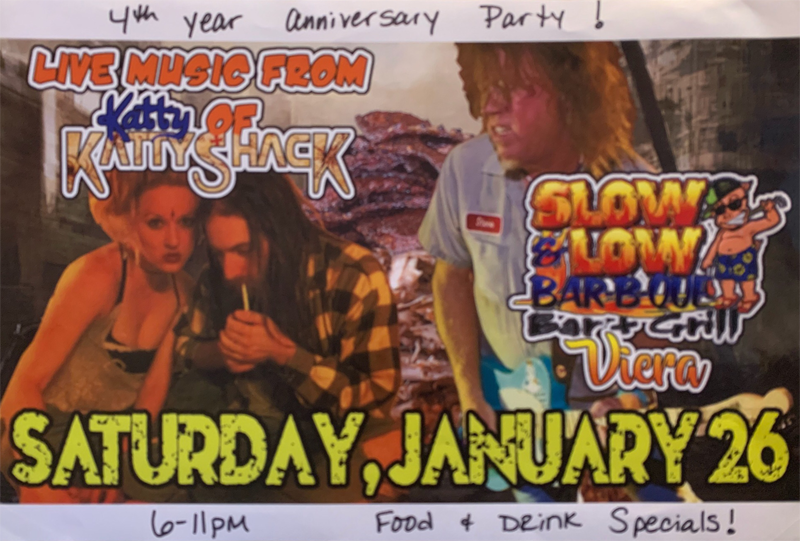 Having a party is a lot easier when you book Slow & Low's Food Truck! Remember, if you are interested in booking our venue in Cocoa Beach for your next event. We also have a great space to hold an event at our restaurant in Cocoa Beach which holds up to 40 people. You will have your own bartender, music and multiple televisions. 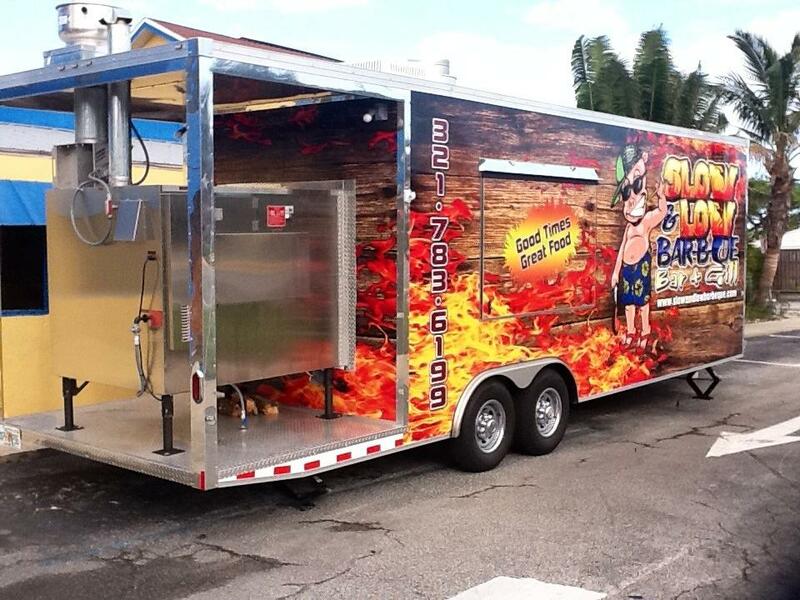 Another option is to have Slow & Low delivered to your next event. Call the restaurant (321) 783-6199 and we’ll bring the food to you ready-to-eat. We can also provide drinks, appetizers and dessert. Serving utensils, plates and napkins are also available. A delivery charge (starting at $20) will be added to each order depending on the location.